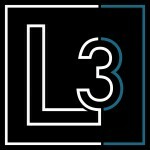 The L3’s Open House’s This Weekend! Always on the cutting edge of technology, The L3 Real Estate team continually take advantage of the latest in web design and software development to better enhance your property goals, and because their team is comprised mostly of longtime Costa Mesa residents, they’re able to provide clients with a real insiders perspective of the community. When Larry Weichman and Kurt Galitski founded Costa Mesa's Weichman Associates - Realtors, they envisioned a local alternative to the large, nationally based real estate companies. It was company based on the knowledge that smaller is better. By employing only the finest, most experienced and knowledgeable Costa Mesa real estate professionals, Weichman Associates - Realtors quickly earned - and has maintained - a reputation for providing discreet, concierge - level service to each of its customers and clients. It's a level of service reflective of Costa Mesa itself - dignified, understated and world class in every respect. "We know how special this area is to people," says Larry, a Costa Mesa resident since 1976. "That’s why we try to preserve that atmosphere while working so hard to help people find their own piece of paradise." If you can't see content in this frame, please follow to this link. From our Family to your’s, Happy Easter! Huge Open House Lineup This Weekend! Larry & Laurie Weichman Sponsor the Mesa North Neighborhood Garage Sale! © 2019 Costa Mesa Blog.